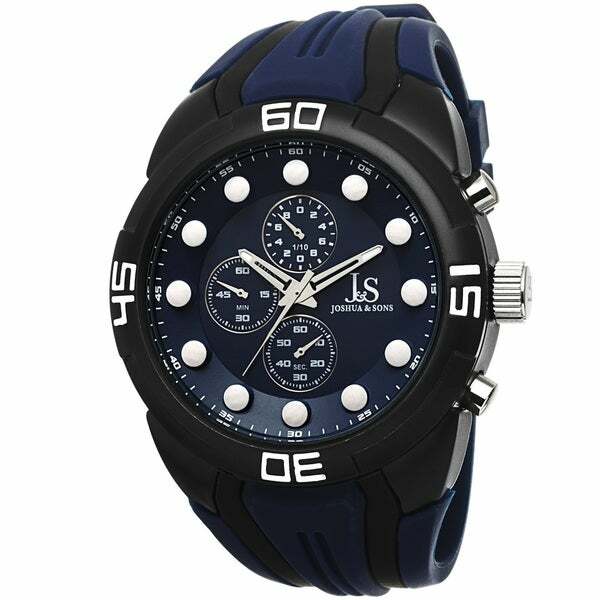 This Joshua and Sons sports watch features a bright silicone strap. The precise Japanese movement and chronograph functions sure enhance this watch. The simple dial with luminous markers creates a perfect look, making it an ideal timepiece for every occasion.